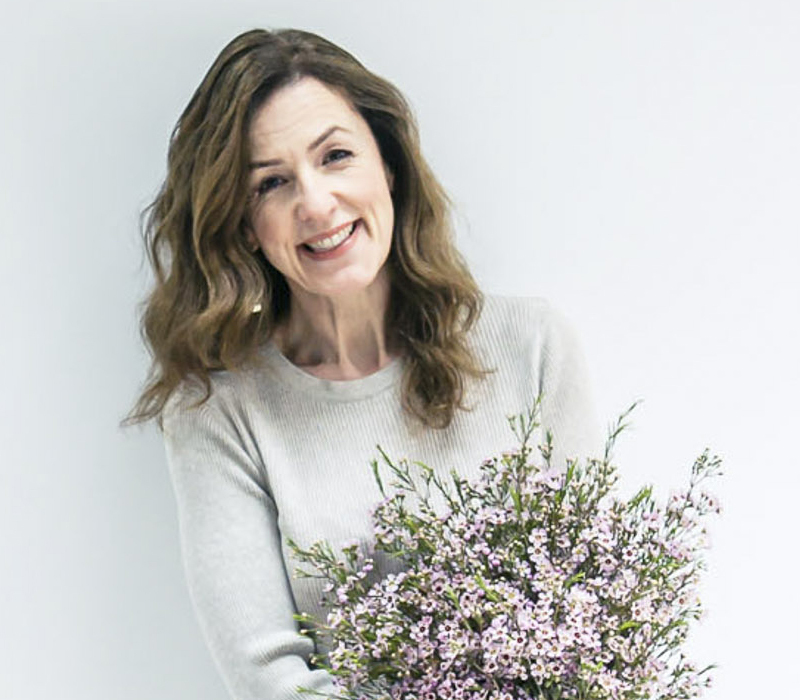 If you watched my Flowerona Reflects video last week, you’ll have seen that I went to a Rustic Style Master Class by The Flower Fashion. 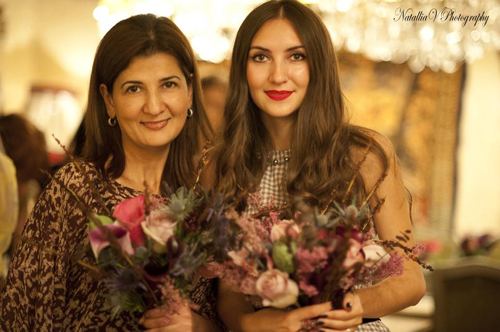 It was held at a beautiful Russian restaurant called Mari Vanna in Knightsbridge, in collaboration with Russian Mums in UK. 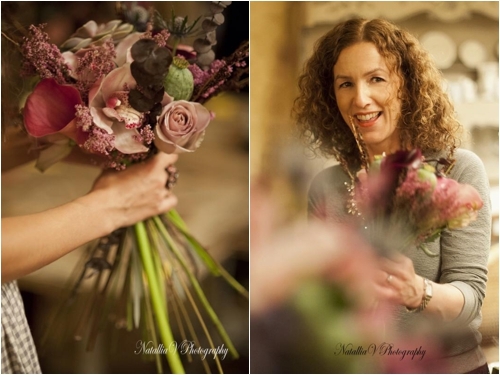 Pictured below are Natasha, Creative Director of The Flower Fashion (left), and Julia from Russian Mums in UK (right). 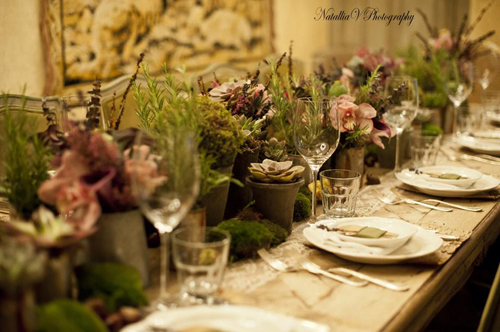 Natasha and her team had styled the venue beautifully, with wonderful flowers, foliage and plants adorning the dining table. 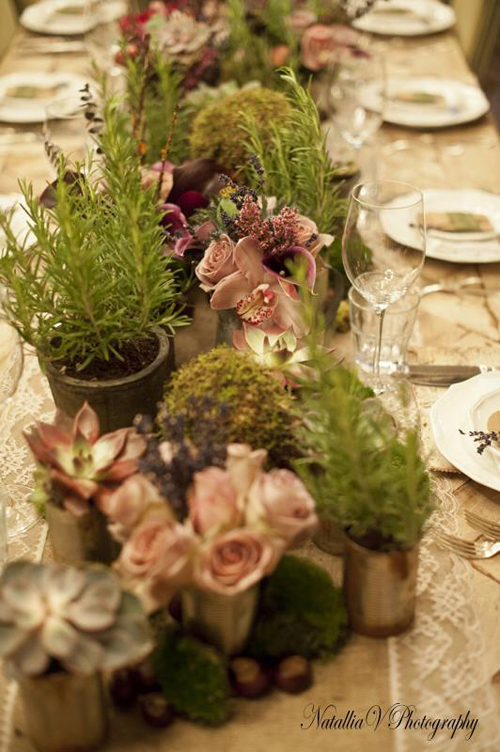 Pots of succulents and domes of moss were interspersed with posies of cymbidium orchids, Amnesia and Memory Lane roses, calla lilies, poppy seed heads, eryngiums, eucalyptus, Black Mountain grass and rosemary. After Julia had demonstrated how to style a table, including place settings and creative napkin-folding techniques, Natasha showed us how to make a hand-tied bouquet. And then it was our turn…! It had been quite a while since I’d made a hand-tied and it was so lovely to create one using the wonderful variety of textures, which Natasha had selected for us. And it was such a pleasure meeting these two ladies at the event. To round off the evening, we sampled the restaurant’s renowned (and extremely delicious!) honey cake and a fabulous cocktail. 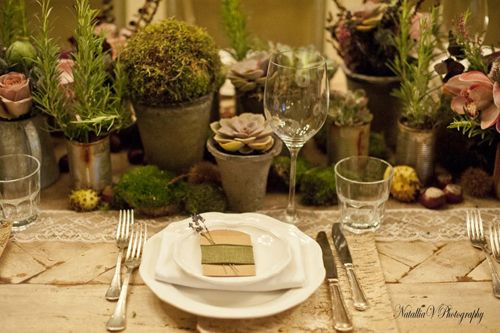 I had such a wonderful time at the Master Class…great company in wonderful surroundings. 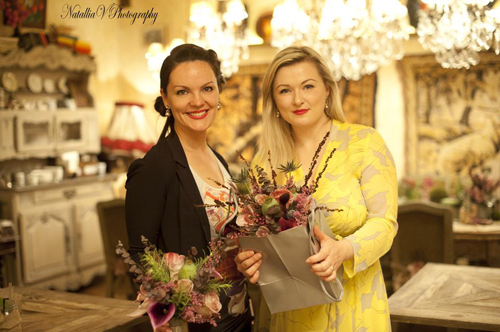 And I would like to thank Natasha very much for inviting me to take part…a very memorable evening! 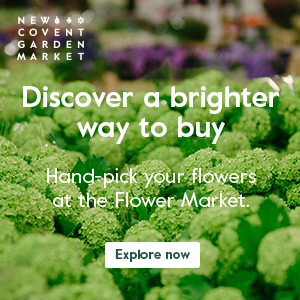 If you’d like to find out more about The Flower Fashion, simply pop over to their website. 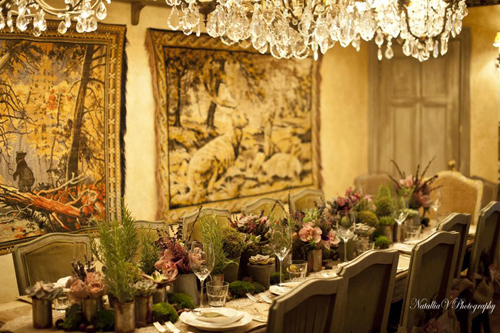 What a charming Florist Friday! 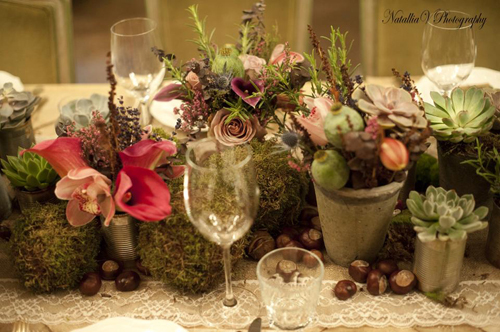 I just love the autumn colours in arrangements! 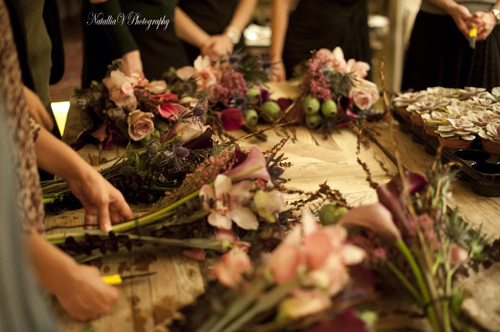 As a florist myself, I adore those flowers!